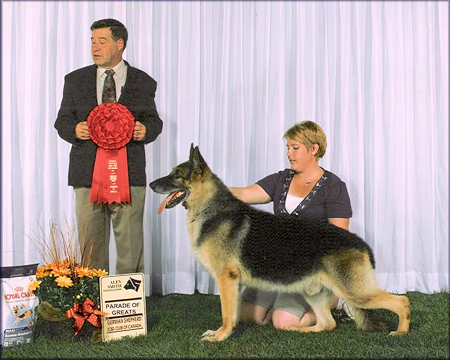 AKC - CKC - UKC Grand Ch. Better known as "Wooly" he has pretty much done it all for us at ShadowValley!! Everything ever ask of him..a Triple Ch. A SUPER producer with very limited breedings. And a fabulous companion. He has a heart of gold that is as big as they come! With a willingness to please that goes above and beyond!! At 10 years old he is the heart and soul behind all we do! 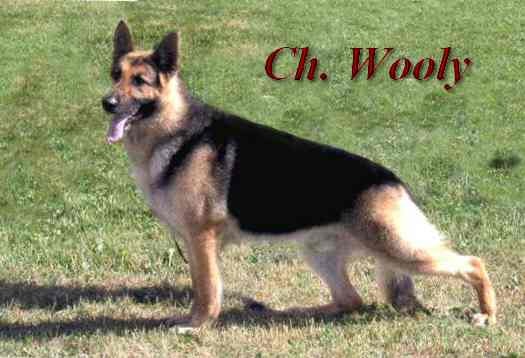 He personifies the traits we demand in our breeding program -- excellent structure, SUPERB temperament and trainability, kindness, and the ability to reproduce those traits when bred. At eight years old he went out and earned his Herding Instinct Certificate!! Moving sheep like he had done it all his life! And his kids are following in his huge paw prints! Wooly at 8 years old going for his Canadian HIC. NOT herd the cattle on our farm..